Have you ever wondered where to find beautifully designed toys that develop your kids imagination & creativity without losing the fun factor? 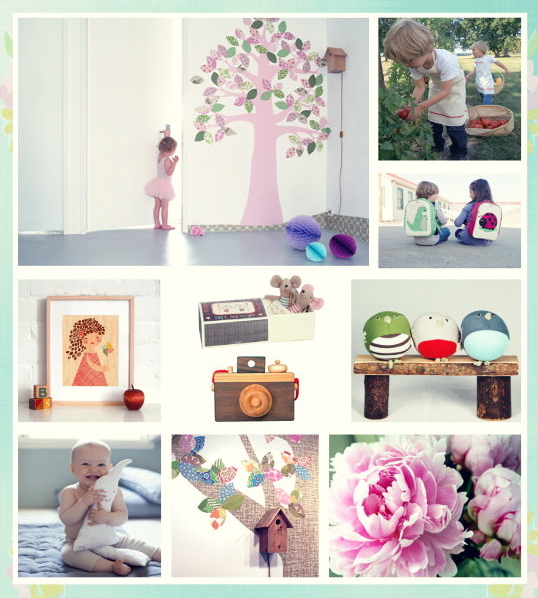 Well, you should definitely check out Romp, this wonderful online store full of super creative toys, accessories, decor and more for the little ones in your family! I particularly LOVE the modern-vintage feel of Romp, the unique items that you can't find anywhere else, and the fact that their products are environmentally friendly. What else can you ask for? Since Holiday Season is around the corner, I created a wish list for some special little ones in my family! You can see the pictures of my favorite items on this post along with Romp's top products. Aren't they adorable? 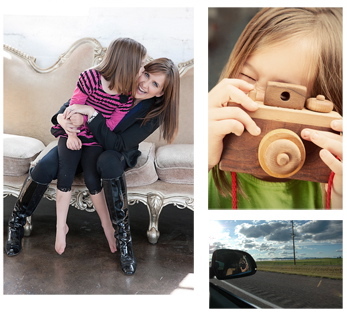 The lovely & super talented owner of Romp store is actress, mom & entrepreneur Kellie Martin. I had the opportunity to do this little interview with her, hope you enjoy it! BM: Kellie, please share with us a little bit about Romp? How did you decide to start your own business? Kellie: Becoming the owner of ROMP sort of fell into my lap. I had been a customer for over four years. 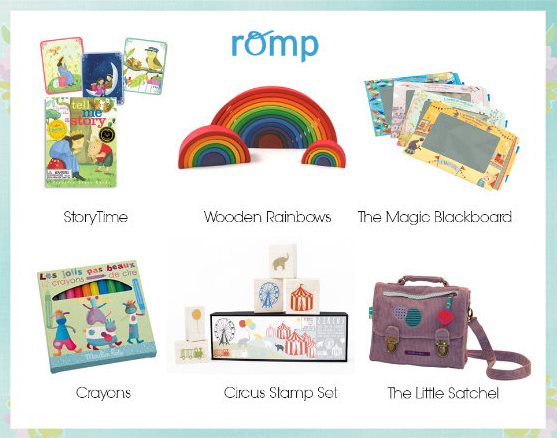 I loved ROMP's selection of wooden and open-ended toys that encouraged a child's imagination. When I heard that it was closing, I decided that I couldn't let that happen, so I figured out how to buy it and then run it. BM: How can you balance being an actress, mom and business owner? Kellie: Balance is achieved if you are able to get your priorities straight. I am a mom first and foremost and an actress and business owner second. There are days when I can balance it all but mostly it's a scramble. I don't think anyone has really figured out how to do it with complete grace. Actually, I'm just hoping to clone myself: Kellie the mom, Kellie the actress and Kellie the owner of ROMP. BM: What’s your favorite part of being a business owner especially such a cute little store? Kellie: My favorite part of owning ROMP is being able to see my parenting philosophy come to life in the products. I've been so inspired by my own child and so committed to finding interesting toys/activities that engage her mind and body and really encourage her to engage in creative play. ROMP allows me to share my ideas and what's worked well for my daughter with parents everywhere. Kellie: I would encourage other women to start their own business if they whole-heartedly believe in their business. It can't just be about making money because that usually doesn't happen right away. Something besides money has to sustain you. BM: How do you see Romp in five years time? Thanks for reading! And please don't forget to stop by Romp. Ooh! Love this! I'm always looking for nice, creative toys for my son and niece! Thank you! Great store! These are great ideas for Christmas presents. Cute overload!! How sweet this post is :) Happy New Year, Giovanna!